A fix for the misalignment issue is no longer included in this mod as EA should have fixed it in the new patch. 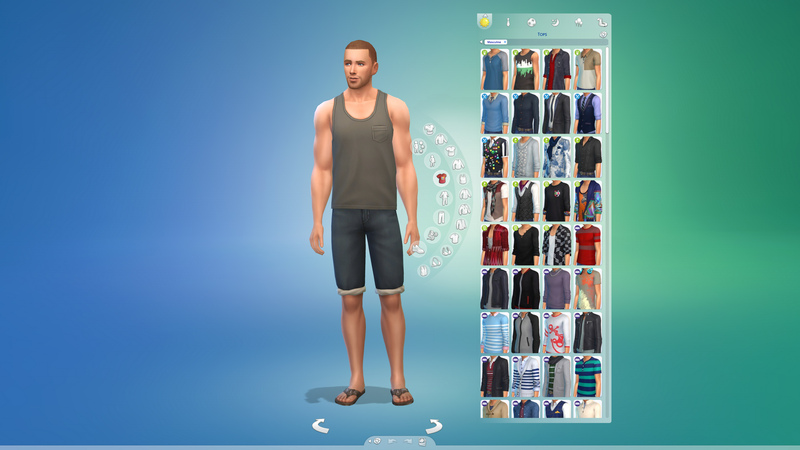 Fixed an EA issue that items with more than 25 color swatches can cause items to misalign. This is done by limiting the number of swatches the thumbnail preview can show. You can still select all swatches an item has from the drop down selection grid. Updated for game version 1.44.77 (June 19 patch). Updated for game version 1.40.61 (Feb. 22 patch). Updated for game version 1.36.102 (Nov. 9 patch). 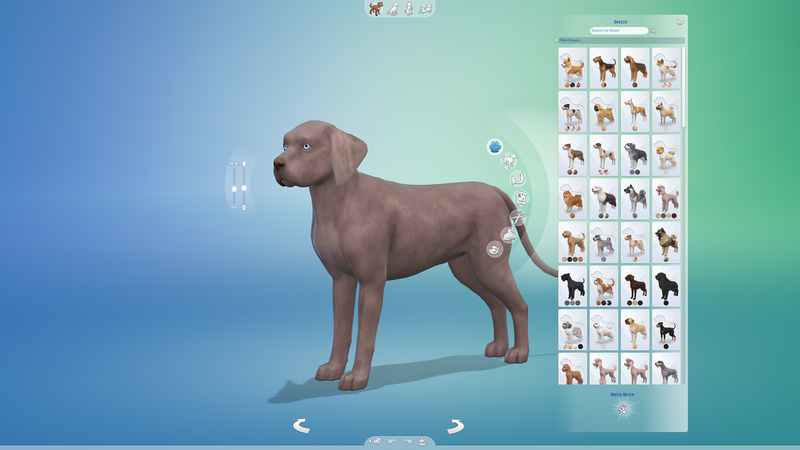 Added support for Create A Pet. 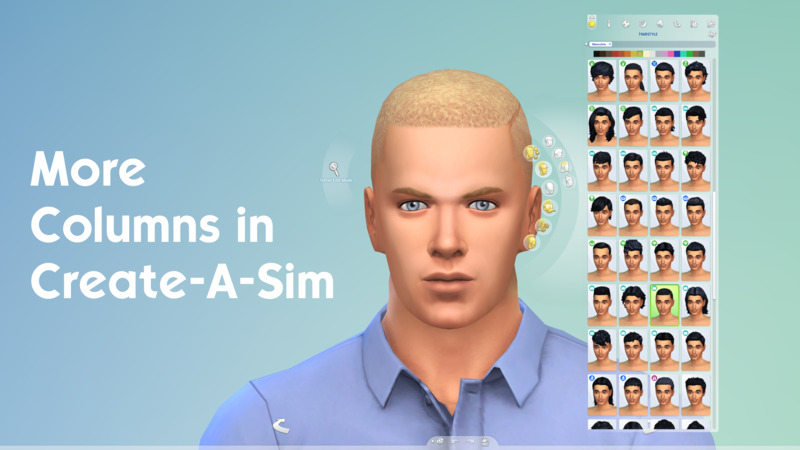 This mod increases the number of columns in CAS. Two flavours of the mod are available: 3 columns, and 4 columns. If your game's resolution is too low, the UI might be cut off of the screen. I don't recommend using the 3 column flavor if your resolution is lower than 1280x720, or the 4 column flavor if your resolution is lower than 1600x900. Please note that if you have Cats & Dogs, a slighter higher resolution may be required for all columns to be shown in Create A Pet. 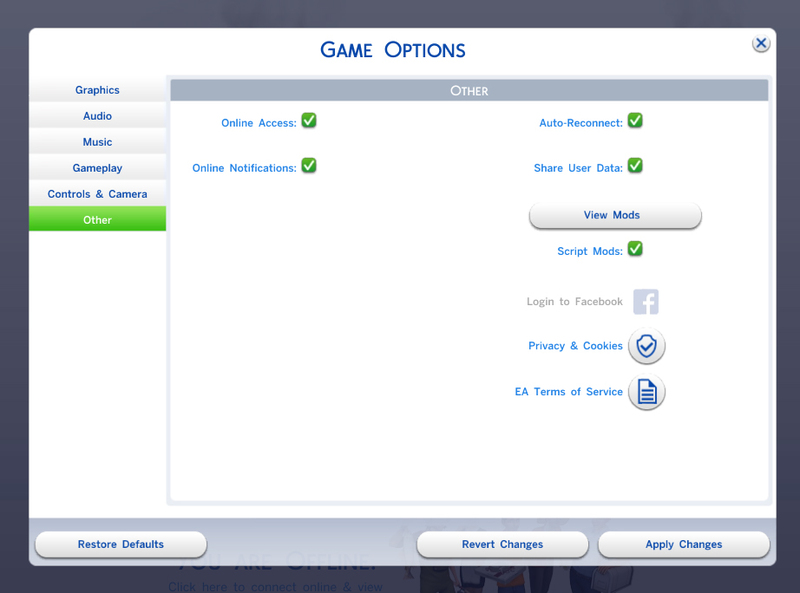 Check the download page for which game version the mod was built with. Generally speaking, the mod is NOT compatible with older versions of the game than it's built with. 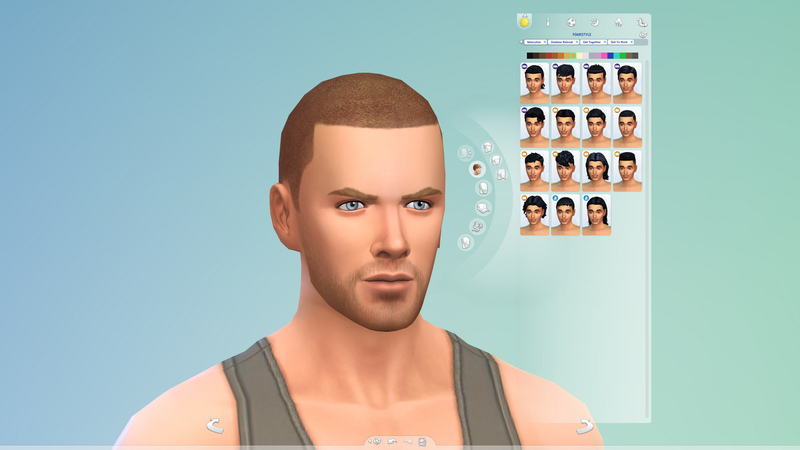 This mod overrides the following files and will conflict with other mods that also modify these files.